As record numbers of Americans suffer from identity fraud while banks and merchants are getting hacked, the credit-card industry is providing a new security system for the cardholder. Retailers, banks and card companies are moving from magnetic strips on credit and debit cards to a chip and PIN card system, which is used in Europe. 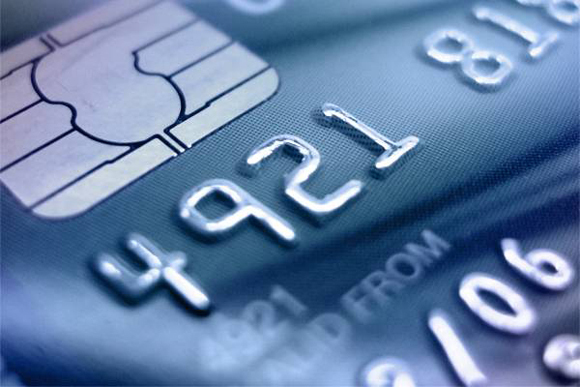 European card providers Europay, Mastercard and Visa (EMV) have joined forces to provide the security system. Although the card technologies are similar on both sides of the Atlantic, the big difference is that the chip is more secure than a magnetic strip, says a credit-card industry observer. “The information about the card, such as the card number and expiration date, is stored in the chip, instead of on the magnetic strip. “The difference is the chip is much more difficult to duplicate than the magnetic strip,” according to Bill Hardekopf, CEO of Low Cards.com. A PIN can also be used along with a signature to further verify a user’s identity, he added. The more secure technology, which has been around for years, is now in demand here because of the massive numbers of breaches and identity-theft cases in the US, Hardekopf notes. Hackers have exposed the personal information of 110 million Americans — roughly half of the nation’s adults — so far in 2014, according to the Identity Theft Resource Center. These new cards will be phased in over the next year as cards start to expire, a banking source said. “The magnetic strip will still be there on the card. But the chip will be there and we believe that it will reduce card fraud,” said Doug Johnson, senior vice president, risk management policy, with the American Bankers Association. “It won’t be a perfect system, but I believe it will reduce card fraud,” Hardekopf said. Here are some answers to questions about the new credit-card technology. Chips are nearly impossible to duplicate. The use of a PIN requires people to be near the terminal that is being used. That reduces the chances of credit- card skimming. The transition to chip and PIN will take place over the next year. BofA and Wells Fargo are already issuing debit cards with chips. How do I use a chip and PIN system? To use a chip and a PIN card, you insert the card into a slot on the credit-card machine and wait for a prompt to request your PIN. There is no swiping involved. Enter your PIN and wait for the transaction to be approved.